One of the premiere townhomes at Cherry Hills, with boat dock! 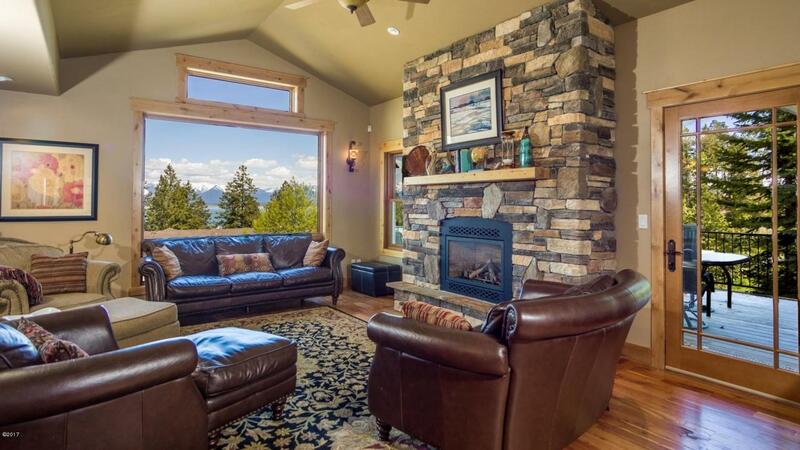 Expansive windows accentuate the gorgeous Flathead Lake & Swan Mountain views. A professional gourmet style kitchen features granite counter tops & custom cabinetry. Three bedroom suites & powder room make great space for all your guests. 2 fireplaces, hardwood floors, numerous built-ins, custom trim work and designer colors make for a warm & charming living experience in this spacious town home. Enjoy the clubhouse, tennis court, boatslip & over 500 feet of common area Flathead Lake frontage offered in the surrounding Cherry Hills community. This is easy lake living!